3 October 2013*: Alongside the so-called 'monkey mayor' in neighbouring Hartlepool, Middlesbrough's mayor 'Robocop' Ray Mallon has acted as something of a poster child for Labour's policy of elected mayors in England and his colourful pre-political history is as well known as his confrontational yet effective style of governing. Born in Gateshead in 1956 and re-elected on a landslide in 2007, Mayor Mallon is something of a divisive figure in Northeastern politics but considers his record to speak for itself. Update 8 May 2015: Dave Budd (Labour) elected new Mayor of Middlesbrough after Ray Mallon decided against standing again. Middlesbrough is the centre of the Teesside conurbation in the south of England’s North East region, a gateway between Co. Durham and North Yorkshire with a historic dependency on heavy industry and port activity. Though only arising from iron mining in the Victorian age, the town can lay claim to a university and Catholic cathedral, though it remains without city status because of the proximity of Durham and Sunderland. Other than this, its national significance is derived from its popularity among real-life cop show programme makers and its infamous elected mayor. As a proponent while a serving senior police chief of zero-tolerance policing techniques imported from New York’s NYPD, the charismatic no-nonsense Mallon was, and remains, feted by politicians of all parties. Mallon shot to national prominence while heading the crime-ridden town’s detective squad and achieved quick results by implementing the zero tolerance measures on the town’s streets and estates. In 1997, incoming Labour Prime Minister Tony Blair even chose the town’s police station for his final photocall of the election campaign, famously posing with the detective. However, Mallon’s crown soon slipped as in December of that year accusations were levelled of corruption among Mallon’s team, including claims by former suspects that heroin had been supplied to informants and suspects in exchange for information or confessions. The Cleveland Constabulary then launched Operation Lancet, a lengthy investigation into Mallon’s conduct, and placed him under suspension from duty. After four years and millions of pounds, the operation failed to arrive at any conclusions and criminal charges against Mallon were dropped, though the disciplinary case against him remained. In 2000 the Labour government legislated to bring about its policy of introducing elected mayors into English local government via referendums in each council area. A year later Mallon, still under suspension, announced his intention to run for Mayor of Middlesbrough, were the post to be created. In effect, this turned the referendum into a question of not whether to have a mayor but if voters wanted Ray Mallon as their mayor. A campaign group was launched to secure the referendum and this was staged alongside several others in English towns and cities that October. Though nominally a safe berth for Labour, both in terms of the council and the town’s Parliamentary seat, the local Labour Party was heavily split over both ideological issues and the fall-out following the reorganisation of local government on Teesside when the Cleveland County Council was abolished in 1996. In addition to local supporters of the controversially suspended police chief, the ‘Yes’ campaign in the mayoral referendum included a number of disillusioned Labour members who might not otherwise have supported the concept of having an elected mayor. Essentially the referendum became an opportunity to vote against the town’s Labour establishment. Having ducked the issue of Mallon’s future for some time, the chief of the Cleveland police force refused to accept his resignation, required by law to enable him to stand for office. Among those annoyed by the overnight emergence of Mallon as a political force in the town was Ken Walker, who doubled up as both chair of the police authority and leader of the council, therefore simultaneously Mallon’s chief tormentor and rival. To force matters and bring about his dismissal, Mallon formally admitted guilt to the internal disciplinary charges against him while maintaining his innocence, thus freeing him from the politically-restricted post. In the October referendum itself, the ‘yes’ vote was massively carried (29,067 votes to 5,422 against) on a fairly large turnout for a poll of its kind (34%). Local Labour bosses then pondered how to keep Mallon out of the town hall, with some national Labour officials arguing in favour of fast-tracking Mallon into Labour membership to be their candidate, something local Labour figures would not remotely countenance. The local Labour Party opted for Sylvia Connolly, a law lecturer at the local university and the council’s deputy leader, as its candidate, though at this stage the Mallon bandwagon had become unstoppable. Mallon’s opponents in the Labour Party ran a highly personal campaign against his candidature, focusing on his recent past and tenuous residency in the town. Though closely identified with the town through his work in the police, Mallon himself lived in the neighbouring town of Stockton on Tees and was able to stand as mayor in Middlesbrough under electoral law which allows those working in the area to stand for office. Mallon’s ‘employment’ in the town was through a nominal post in the firm of a prominent supporter. By this point, Labour was resorting to campaign visits by disgraced Labour cabinet minister Peter Mandelson, MP for neighbouring Hartlepool, whose attacks on Mallon seriously backfired. In the May 2002 election, Mallon was elected as an independent with almost three times as many votes as the Labour candidate. Mallon himself was identified as something of a New Labour supporter, if not member, thanks to his election eve endorsement of Blair and his columns in the local press which took stances broadly sympathetic to the policies of the government. In the referendum subsequent to his election on the question of whether or not to establish an elected regional assembly for the North East, Mallon led the ‘Yes’ campaign on Teesside and was rumoured to be seeking a seat on the assembly in the event of a ‘yes’ vote (which didn’t happen). He was also heavily rumoured to be seeking the Labour nomination for the Hartlepool Parliamentary seat which fell vacant upon Peter Mandelson's appointment as a European Commissioner. Though having contemplated applying to join Labour in 2003, remaining disqualified from membership having stood against the official Labour candidate in the mayoral election, Mallon flirted with David Cameron's Conservative Party, which was by then preaching something of a more inclusive brand of conservatism allied with a tough line on law and order that chimed with Mallon's press image (and some might say New Labour). 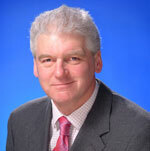 In late 2007, Mallon was appointed to chair a taskforce on tackling anti-social behaviour by a Conservative-affiliated think tank. Since becoming mayor, Mallon has remained an independent and has appointed a broad executive from the council to support him. One surprise appointment was Ken Walker, the former police authority chair, council leader and arch-critic of Mallon, as deputy mayor. Now firmly into his first term, the Mallon administration has become notable for three key areas of policy. His platform issue of crime reduction is one obvious area and Mallon claims to have overseen a massive reduction in crime in the town thanks to the use of neighbourhood wardens and the increased use of CCTV cameras in the town centre as part of what he calls his ‘Raising Hope’ agenda. The mayor is also a visible figure in the town, making use of a two seater Smart car rather than the traditional municipal mayoral limousine. He has also spoke of his aim to make Middlesbrough a 'designer label' town, pushing job creation and regeneration of the town centre. It is the latter element of this policy that has proven most controversial for Mallon, with his flagship scheme to demolish and replace ageing houses around the Gresham area of the town, angering many residents and even leading the former council leader (and Mallon's former boss) Ken Walker to quit the Labour Group in disgust. In 2007 the flagship Middlesbrough Institute of Modern Art (mima) opened, with the Erick van Egeraat-designed building and its collections winning national acclaim, leading one commentator to remark that Middlesbrough had finally thrown off its 'Crap Town' reputation. Though re-elected in 2007 by a comfortable margin over Labour once more, opponents of the mayor have campaigned to have the elected mayoralty scrapped altogether, though Mallon's popularity on the law and order issue would appear to have secured the post for the time being. Mallon is not averse to taking on opponents, as the regional assembly debate showed, or one to shy away from free publicity, maintaining his weekly column in the regional press. In 2005 he called for the parents of unruly children to be sent to jail and for the children of persistent offenders to be taken into care and in 2008 for cigarette machines to be banned in the town. Facing re-election in May 2011, he turned his fire on the Conservative-led coalition government, accusing its tough financial settlement for poorer areas like Middlesbrough as tantamount to a "declaration of war". He was re-elected in the May poll, though his considerable lead was dented to narrowly scraping through on the first round of the instant run-off with 50 per cent of the vote, following a hard fought campaign where tapes of the mayor using 'industrial language' about a female council officer emerged and were seized on by opponents. Ahead of the 2015 mayoral elections, confirmed by a referendum in the town held in 2013, Mallon has stated this his third term will be his last. The teetotal mayor once captained the UK water polo team and is married with two daughters. 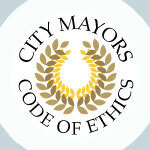 The City Mayors Foundation was established in 2003 to promote, encourage and facilitate good local government. To strengthen local government further, City Mayors has instituted a Code of Ethics for city leaders who wish to perform their duties beyond all reproach. Ultimately, City Mayors aims to establish the professional title of Chartered Mayor in recognition of city leaders who bring high integrity and competence to public service as well as adhere to the Code of Ethics. Good and honest local government is the foundation of any nation that strives to provide its citizens with happiness, security and prosperity. Incompetence, corruption and misconduct in local government threaten fundamental decency in a society. Mayors shall execute the office of mayor for the common good of their communities while refraining from actions that may harm other communities or the wider world. They shall take full responsibility for any acts performed by themselves or by members of their administrations. Mayors shall not discriminate against individuals or groups because of their race, religion, gender, disability or sexual orientation. Mayors shall support and uphold the letter and intent of the laws of their cities and nations as well as relevant international laws. They shall demand the same degree of respect for the law from all members of their administrations. Mayors shall be free to oppose any laws of their cities and nations where such laws contravene the United Nations Universal Declaration of Human Rights. Mayors shall administer public resources for the public benefit of their communities while considering whether such use could cause unreasonable harm to other communities and the wider world. Mayors shall never use their official positions to secure unwarranted privileges or advantages for themselves, members of their families, friends, colleagues or others. Mayors shall not perform any official actions where a direct or indirect financial or personal involvement might reasonably be expected to prejudice their objectivity or independence of judgment. They shall demand the same degree of impartiality from all members of their administrations. Mayors shall accept no gifts or offers based upon an understanding, stated or implied, that they were given to influence them in the discharge of their public duties. They shall demand the same degree of honesty from all members of their administrations. Mayors shall be open to public scrutiny of their official actions and those of their staff, including their relationships, contractual and otherwise, with vendors, consultants, and business associates. Mayors shall report any improper actions they witness, such as bribes, kickbacks, and gift offers. Mayors shall work to strengthen civil society by raising public awareness of, and confidence in, their city government’s activities. Mayors shall use their influence to promote co-operation and good will between cities, nationally and internationally.